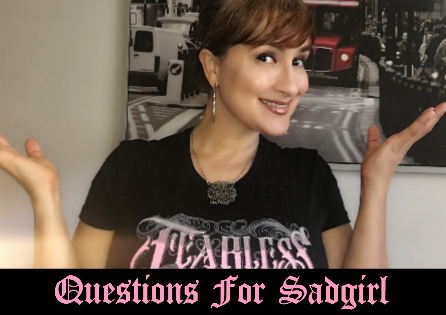 In this video, I chat with one of my dear friends, actress Seidy Lopez. We are so blown away by your support. Thanks for watching. ★ I upload weekly so make sure you check in on what’s new. The other day, I posted up the chance for my friends on Facebook to ask me anything. Here is a video of just some of the questions. I will make another soon. Do you like this format? Do you have questions? Hit me up on any of my social channels and I will do my best to answer you. Mi Vida Loca is not just a film to me, it’s a feeling and a state of being. 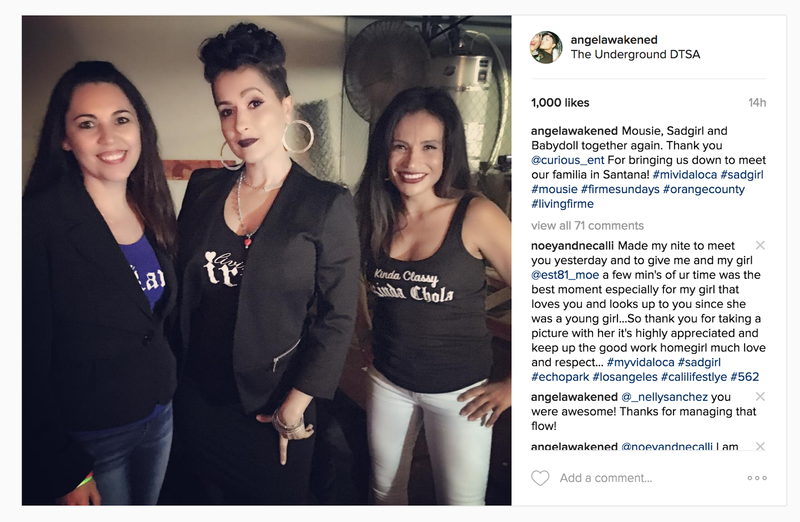 I blog about Mi Vida Loca because it has been a big part of my life and many of you have expressed that it has also been a big part of yours. This giveaway is all about YOU! Of course, there is no purchase necessary. 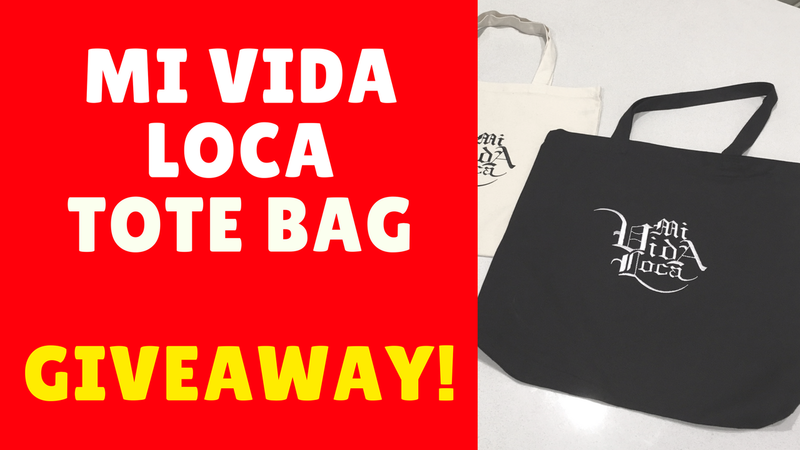 Just leave me a message in the comments on Youtube, Facebook, Twitter or Instagram, and let me know how you learned about Mi Vida Loca and/or what the film has meant to you. This is a giveaway. I will be randomly drawing a name on March 4th. Good luck to you all. For those of you that have asked. The movie can be found on Amazon. From the bottom of my heart… Thank you so much!!! * This giveaway is intended for all but in order for me to directly mail this gift to you, PLEASE be 18 or older or have permission from your parent/guardian. Please don’t forget to mark your calendars, March 4th at the VFW Post-1944, for this day-long event! Watch these videos for more of the 411. 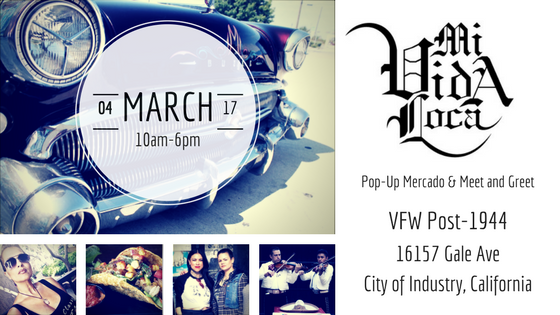 Bring your cash to shop and eat… And your chanklas to dance to the firme rolas! Speaking of music, let me give you a little rundown of who’s spinning! As you can see, Dolle-Girl will now be joining us and the list of pop-up guests just keeps getting longer and longer! I cannot wait to meet you in person!!! Thank you Sparkles Tiny for the planning and Jessika Carrillo for the video!